WE WON”T dwell on yesterday’s -12 units abomination. Stitch ‘Em Up (Bekim Bale x Niamh Premier Jun ’15) was extremely unlucky and only just failed to hit the line first after a severe setback early in the race. Invictus Rapid (Cosmic Rumble x Miss Fiesty Feb ’14) missed the start and was disappointing thereafter in the G3 2017 Darwin Cup final won by the Brian Kelleher trained Off And On (Tomac Bale x Jackie’s Trouble Mar ’15). The placings in the cup final all went to the three inside boxes which is a strong reminder of an old betting adage that “boxes win big races”. We strayed from that line of thinking and paid the price yesterday. Plenty of work to do today to get our August greyhound tips back on track. Fortunately there is never any shortage of races. There is no last race. 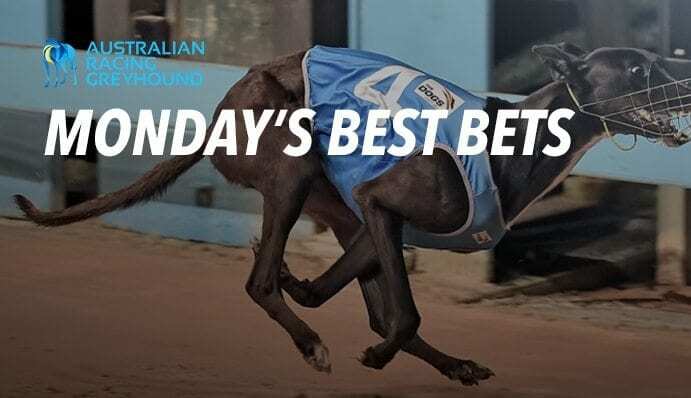 Monday’s are basically Tier 3 day in Victoria, where the states slowest and least genuine greyhounds all have a day out. It might be great for welfare, but it’s horrible for betting. If you want to preserve your punting bankroll, give Victorian greyhounds a very wide berth on Monday’s until they address the issue. It really wouldn’t be that hard for them to put one decent meeting on .. would it? New South Wales seem to have attracted the same bug and have put on three meetings; two of which are the state’s Tier 3 equivalent; a TAB C meeting. Basically what used to be non-TAB meetings now held in TAB timeslots. Very occasionally you can find a diamond in the these meetings, but not today. Maybe the breeding disincentives, and lack of guidance around ongoing breeding and rearing costs in Victoria and New South Wales is biting already? If that is the case, this situation will only get worse. The glacial rate of change in both states is frustrating for all participants. NSW for example announced their new board a month ago – six weeks later there is no evidence they have done anything at all! Still no GRNSW CEO, and the new goliath money muncher NSW GRIC still does not even exist yet. What odds it having anything to show when the time comes for its statutory reviews which will determine the ongoing viability of the industry in NSW? Tee Snow (Collision x Uptown Snow Nov ’13) drew box five here last week and bounced from the boxes straight on to the lead bolting in by 4.25 lengths in 27.61 (best). That was first time Tee Snow had shown that kind of ability from five prior attempts, but moves down to box one today in a field that realistically is stacked with moderate beginners. Highly likely to go around at very good odds, and only needs to repeat last week’s effort to win this comfortably. Knocka Nova (Don’t Knocka Him x Paint Oct ’15) won from this box last week leading all the way in 30.61. The first section time wasn’t extraordinary and a repeat will see him get plenty of pressure from the outside in the run to the corner. Was a bit strange through the corners last week, which we’re putting down to racing a little over keenly. If not it might be an indicator of a lack of genuine chase, small injury issue or being a little strange to leading a race. He did do the same through the corners at his first start but is very quick on the straights. Provided he takes last weeks run and applies natural improvement, this race is well in his grasp. Getting a good price to offset the small risks. Looked at this race up and down for an hour trying to find something to beat the favourite Rhynstone Teddy (Paw Licking x Pearl’s Bonnie Sep ’15) but cannot make an argument for anything. In a remarkable situation, the exact same seven dog field from last week’s race greet the starter again. That race was won by Rhynstone Teddy who came from behind to run down Long Gully Helen. Obviously the box draw has changed but that has only advantaged our pick who has a greyhound who goes left at the start to his inside and vacant box to his outside with a slow beginner outside that. Rhynstone Teddy may even lead this field and if that happens his 29.98 best time here will be under threat. Simply put nothing else in this race can run those times on current form. Rhynstone Teddy will make it six wins from nine starts at Angle Park. Finn’s Entity (Fabregas x Girl Aloud Aug ’14) is in great form over the 509m here at Northam, having won his past three on end and is stepping up for the first time to the 588m distance. Has drawn wide but is well suited there having won three of six from boxes seven and eight; and does like to cross down to the rail in running early so should get the ideal swoop in the short run to the home straight the first time. Looks a class above these and should be shades of odds on in betting but there are juicy black figure odds on offer.